Article and photos for this guest post provided by London traveller Martin Nolan. 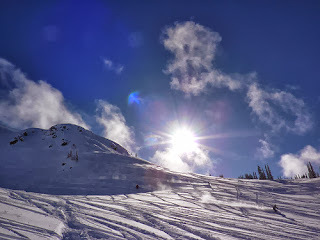 For ninety percent of people, the words “Whistler Blackcomb” mean absolutely nothing. To the other ten percent it’s a place to be treated with hushed reverence. A Mecca for powder hounds. A playground located to the north ready for exploring. To that ten percent it is a skiing paradise. To the ninety percent, all ski resorts are the same, right? They all have mountains, snow and chalets. But to an expert skier each mountain is as unique as the snowflakes that settle on them. Each one has its own curves and individual characteristics. 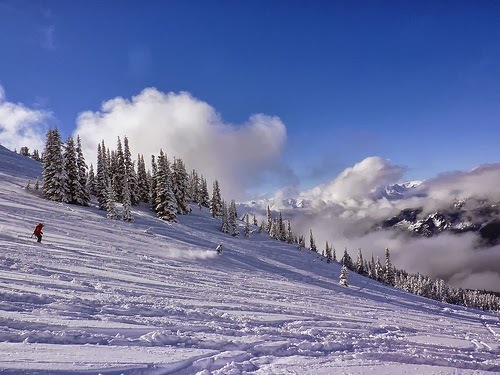 Whistler is a Mecca for skiers because it offers pure escapism. If you try to tell that ten percent that Whistler in British Columbia, Canada, is the same as everywhere else, they would probably glare with a look that says; "you just don’t get it". Then they would tell you how different Whistler is (and I didn’t realize how much until I went with Crystal Ski). After they have gone over how beautiful the sprawling resort is, they will tell you about the Jewel in Whistler;s Crown. The Four Glory Bowls. For those who aren’t powder hounds, you might think that bowls are nothing to get worked up about. You eat out of one every morning. But for a skier, a bowl is different. It’s a large open terrain with drops, shoots and gulleys, and Whistler has some of the best. One problem with Whistler is that there’s too much choice. Skiers generally don’t handle choice too well, so when you give them a choice of four, they can look like a rabbit caught in the headlights. In reality, the choice is simple: It is either Whistler Bowl or the West Bowl. Whistler Bowl is by far the least challenging. An effortless ride up the lift takes you to the entry point. Once you are inside, it’s wide open with plenty of fresh powder to leave your mark on. As you get further down, there are more than enough surprises to keep you entertained. Don’t let the first five minutes of fast paced, easy riding, fool you. The docile old girl has more than a few tricks left up her sleeve, as you’ll find out when you near the bottom. 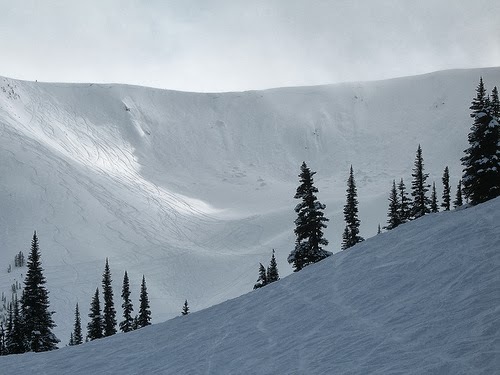 The West Bowl is a completely different proposition--a bowl not for the faint-hearted. The rowdy drop in from Cockalorum will have the heart’s ventricles at bursting point. Blood will be shooting around the body, trying to bring oxygen to the muscles as adrenaline sets in. Reactions need to be razor sharp with twists, turns, lumps and bumps at every section. Every inch of the body is used to navigate the bowl. The aches and pains from a run may feel worse than spending the day wiping out. At the bottom you'll feel an overwhelming sense of euphoria no matter which bowl you ski. There's a moment when adrenaline and relief meet, and everything around you has an ethereal feel. You question whether that just happened. The only way to find out is to head straight back up that lift and put it to the test.